The Grunfeld is a fluid and dynamic Black opening, ideally suited to the needs of the attacking club player. Many World Champions have used the Grunfeld, including Botvinnik,Smyslov,Fischer, Kasparov and Anand. 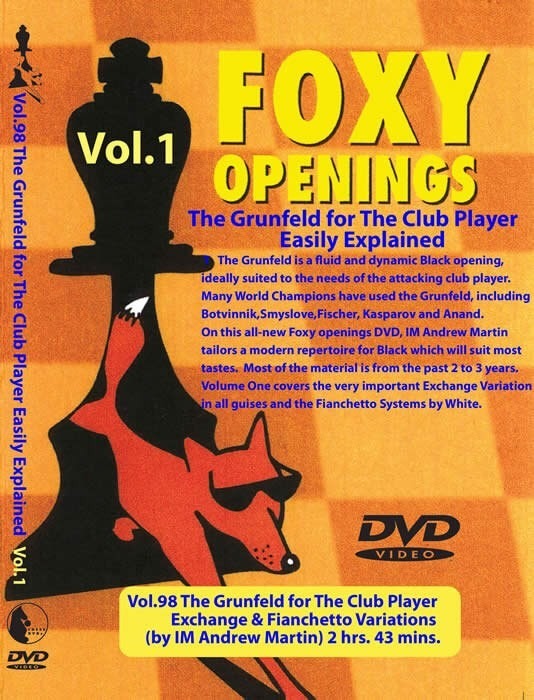 On this all-new Foxy openings DVD, IM Andrew Martin tailors a modern repertoire for Black which will suit most tastes that is based upon the latest opening theory. The variations covered in this DVD are..